The female and her young are very alert to adult males and avoid contact with them. There are often large male bears in the area that are interested in making a meal out of unsupervised cub. 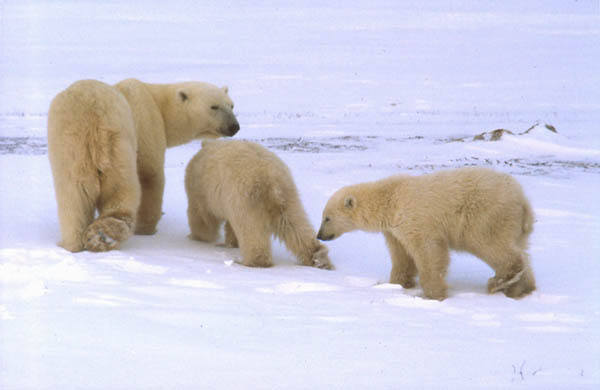 Most of the time the female is very successful in keeping bears twice her size at a respectful distance.